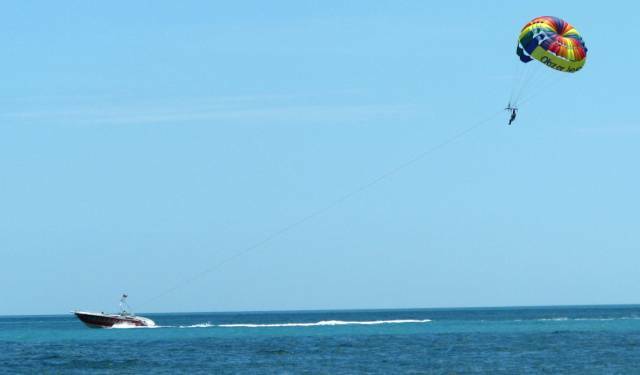 Estibordo is a nauticcal term meaning star-board. 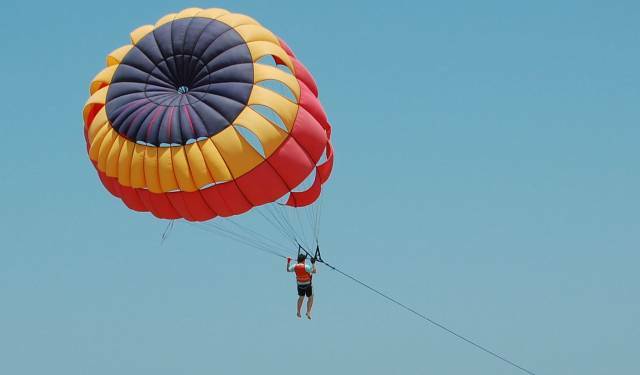 Nevertheless, independently of who claims its orirgin, the word estibordo raises full of an adventurous meaning, in opposition to the word port board. 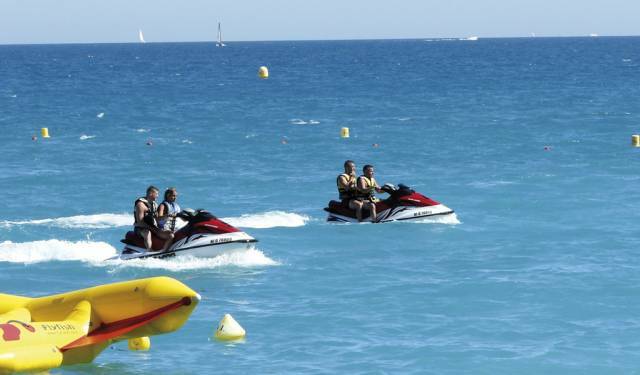 Jet Ski - Strait A, Jetski is waiting for you, adrenaline, fun, come and try the rush...Perfectly safe, perfectly fit, perfectly able and adapted to their environment. 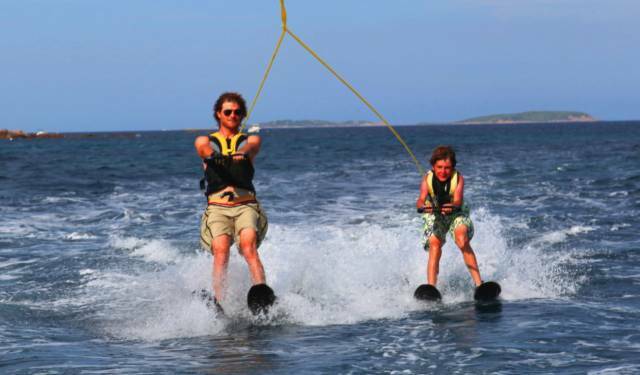 Ski and Wakeboard - This takes all your skills, if you don´t know, we will teach you, take this as a personal challenge. 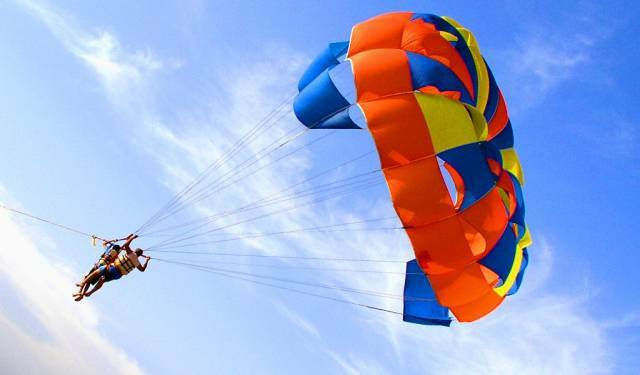 Parasailing - Do it as safely as birds do it, we will provide you "wings" and a dream flight. 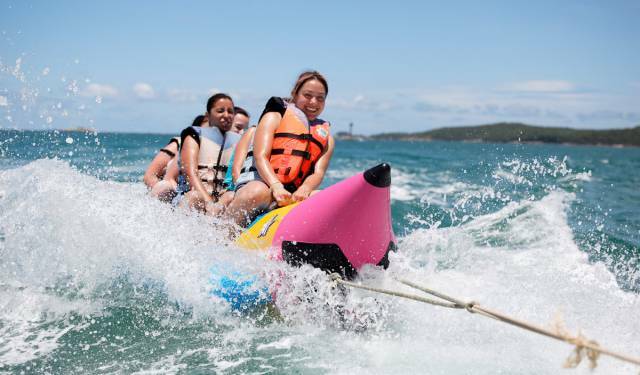 Waterbanana - Banana Rides...Come and enjoy this fun activity with all your mates, up to 8 people on a ride, trying to hang on, this is the best choice for big groups and families to enjoy all together. 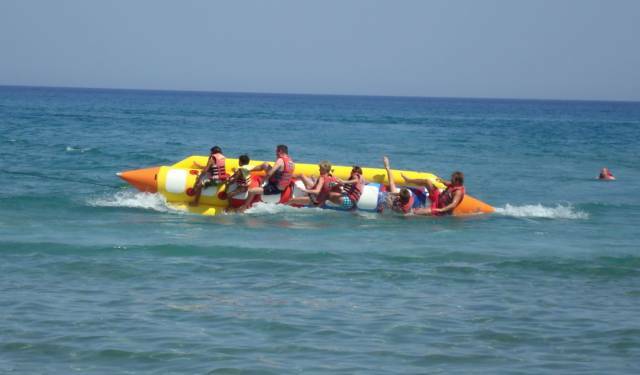 Tubes - Tubes that float, bump in to each-other, jump out of the water, turn and give you one hell of a rush. Crazy Buoys - All sorts of new Buoys. 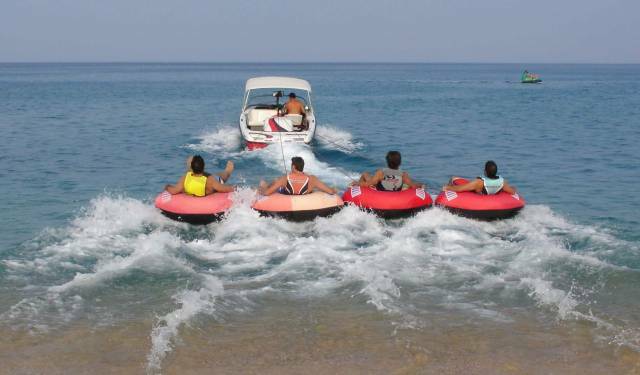 We have got U-tubes, 3 persons sliders, 5 persons stars, the Manta Buoys, etc.